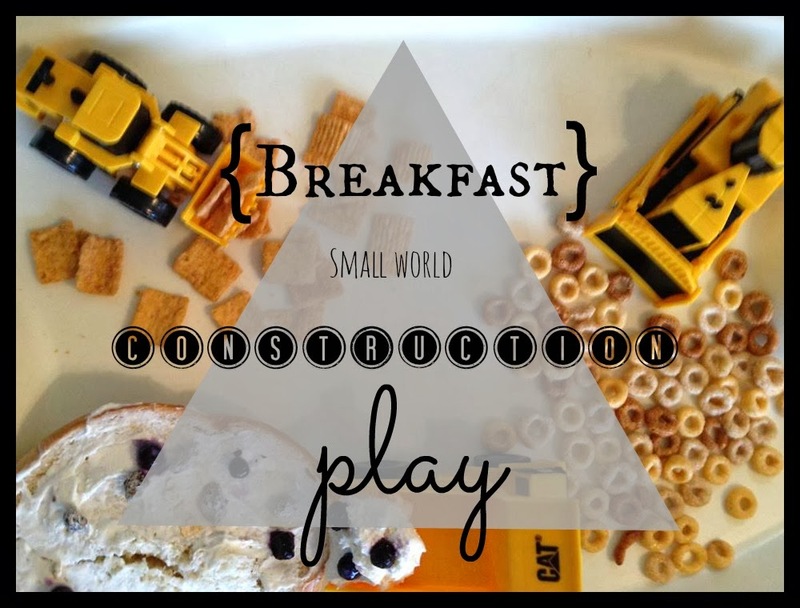 This morning as I was planning breakfast for Cannon, I decided to make it a little more exciting with adding a small world play element to it. I recently found these great little tractors on Christmas clearance (only $1.35!) and I’ve been waiting for the right moment to open them- this was it! Baby Hunter was already awake (he’s up by 6:30, but brother doesn’t wake until 7:30) So I had time to feed him, have breakfast myself, and set up this invitation before I heard Cannon’s sweet little voice calling for “mama”. Unfortunately, I hadn’t made it to the grocery store yet, so the scene lacked fruits that I would have otherwise added (apples and bananas). Besides missing more fruit, it was a great variety of some of Cannon’s favorite breakfast foods!